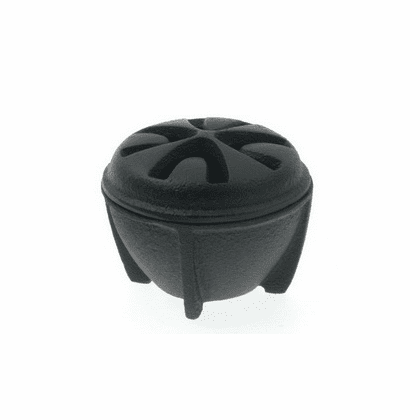 Black cast iron incense burner with slotted lid. For cones, sticks (with sand that is not included) and charcoal burning. 1-1/2 inches tall, 2-1/4 inches in diameter.